Microbiology is the study of microscopic life, or microorganisms, and other associated microscopic nonliving biological particles that interact with living things. The science covers bacteria, fungi, algae, viruses, prions, and many other topics. Although microbes are impossible to see with the naked eye, they have a massive impact in each and every other living thing on the planet. A microbiologist is a scientist who studies microscopic organisms including bacteria, algae, and fungi. Often, they study organisms that cause disease and environmental damage or are of industrial or agricultural interest. They also study the characteristics of nonliving pathogens, such as viruses and prions. 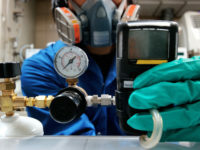 Microbiologists often use cutting-edge techniques and sophisticated machinery along with biotechnology, genetics, or other related fields to perform their duties and study microbes. Microbiologists who are fortunate enough to work in the realm of environmental science are on the forefront in the fight against climate change and other environmental dangers that stem from pollution and waste or natural earthly processes. They also may work on the amazing new fields such as green energy or other sustainable sciences. Many microbiologists work on ecology, attempting to explain and monitor environmental health as well as phenomena or localized concerns. A day-in-the-life for a microbiologist can be very different depending on what type of science they perform, but they all do certain things. Microbiologists spend a great deal of time preparing their samples every day, whether their samples are from people or ponds or petroleum companies. After their samples are meticulously checked, a microbiologist can then begin performing different activities on whichever organism or process that they are studying. 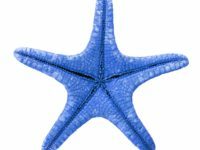 These activities can involve growing and experimenting on the samples, analyzing their makeup or behavior, or optimizing them for some task. The most recognizable tool of a microbiologist is the microscope, which enables them to take a close look at the tiny things they study, but they also use many other technologies in their line of work. They use special equipment to grow their microbes, as well as specific ingredients to create the growing medium that allows their samples to grow and reproduce in the lab. Microbiologists in certain fields use a wide array of gadgets and machines for analyzing their samples, such as nuclear magnetic resonance, electrophoresis, centrifuges, spectrographs just to name a few. Where Does a Microbiologist Work? Many microbiologists work in hospitals or clinical laboratories, analyzing the samples that are collected on patients or the local population. Medical microbiologists are specially trained to identify the harmful pathogenic microbes that attack the body. They culture and examine many different types of samples, including many bodily fluids and tissues, and report their very important results, in order to assist the nurses and doctors and myriad other personnel who assist in patient care. Some microbiologist perform field work, collecting samples outside of the laboratory - working to study local microbes, improve public health and track diseases as they move around a local region, or even around the world. Others work in an industrial setting, placing them in a bit more hazardous conditions than a hospital or laboratory. They may encounter heavy equipment or extreme conditions that can be dangerous. Fortunately, there are many safety regulations and protective gear and machinery that helps keep workers in these roles safe. Many very educated microbiologists become academic faculty, acting as professors and researchers at learning institutions around the world. These people spend all their time experimenting and analyzing, publishing their results and educating the next generation on the facts, processes, and techniques that they sometimes themselves have discovered. Still other microbiologists work simultaneously in multiple venues within the science or in many of the smaller microbiology areas. What Is the Average Microbiologist Salary? This degree can help you land a job in a career with a reported median pay of $61,000 per year or nearly $32.00 per hour. However, individuals with more education or greater experience will earn higher wages commensurate with their abilities. Use the search box below to find all the microbiologist job listings in our job board. 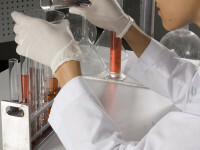 Prepare samples using aseptic techniques. What Is the Job Demand for Microbiologists? Challenges and opportunities abound in the rapidly changing worlds of industry, economics, and commerce. 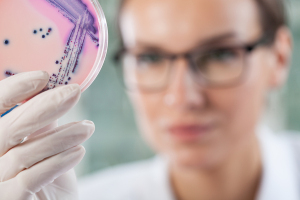 The science of microbiology is sure to evolve alongside the industries that require it, and it will require many microbiologists in the coming years to work on the exciting new projects that will surely arrive due to the incredible pace of advancement. The job market for microbiologists is expected to increase 7 percent in the decade between 2012 and 2022. 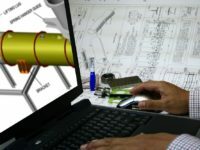 While this rate is somewhat slower than the projected growth in the need for other occupations, it is evident that there will be a constant and growing requirement for biologists that assist in industrial and production processes, as well as microbiologists involved in public health, environmental monitoring, and medical or laboratory settings. What Are the Education Requirements for a Microbiology Degree? Becoming a microbiologist require the study of microbiology, of course! You can also study similar subjects such as biology or ecology, where you'll receive education on the topic of microbiology as well. Generally, microbiology work requires at least a Bachelor's degree. 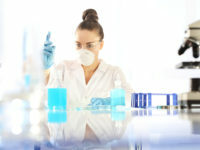 Most colleges or universities will likely have courses that let you work toward this field, or at least offer courses that may transfer to a microbiology program elsewhere. Getting a bachelors degree in microbiology is a great way to jump-start a career. From there, microbiologists can continue their education in medicine, veterinary studies, or numerous other graduate and post-graduate positions in the science. Read about environmental microbiology degrees. What Kind of Societies and Professional Organizations Do Microbiologists Have? Anyone interested in learning more about microbiology as a career should definitely check out the American Society for Microbiology, found online at www.asm.org. They are the largest professional microbiology organization in the world, and they offer resources about the science as well as assistance with career placement. Besides the AMS, there are numerous academic journals on the topic of microbiology available to readers and incredible volumes of information on the internet for those seeking to learn more about the fascinating field of microbiology. The Bureau of Labor Statistics is part of the United States Department of labor and is tasked with fact-finding on the topic of labor economics and statistics. They provide the United States Public, along with the government, with data and statistics regarding topics such as consumer prices, unemployment, and compensation among others. The American Society for Microbiolgists is a professional organization of microbiologists. This organization seeks to advance the science of microbiology and help disseminate and share results and ideas. It is also the largest professional organization of life scientists.